‘Your real nature is perfection’ is the insight transmitted by those who have realised the true nature of the “I am” as free from limitations and one in all. This Self-knowledge comes to light in tranquillity, when our attention is withdrawn from the processes of thought, and rests in our ultimate being. The philosophy of non-duality (Advaita Vedanta) shows by reasoning that no other view of self fully accounts for human experience, while reflection and meditation on the innate perfection of the Self opens the inner path to its realisation. This new book by the Warden of Shanti Sadan, Centre of traditional Non-duality, focuses on the direct expression of this eternal wisdom and the way to it. The path is open to everyone, for none is without this perfection at the very core of their being. 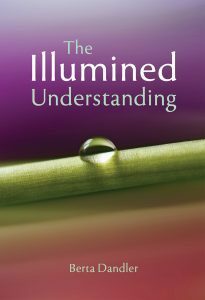 This untaintable Self is not created, but revealed, through the Illumined Understanding.